We have all undoubtedly read passages in the Bible about the false gods in ancient times. From Genesis when Rachel stole her fathers idols, to Kings where Elijah challenges the prophets of Baal, all the way to the New Testament times when Paul found the inscription “to the unknown god”. In every one of the plagues of Egypt, God proved that He is the only one, true God. Not only is He the only God, but He is also a very jealous God! God does not want to share the affection and worship of His people with anything or anybody. 23Take care, lest you forget the covenant of the LORD your God, which he made with you, and make a carved image, the form of anything that the LORD your God has forbidden you. 24For the LORD your God is a consuming fire, a jealous God. You may say, “Yeah Yeah, false gods, idols. That is not a problem in the civilized world, the United States.” But sadly, our world is sprinting toward the wrath of God, invoking his hot displeasure by reviving the false gods of Bible times, in America. I was very upset last year when I read about the Archway of Baal being erected in New York City. No this is not a joke, its not fake news, and its not some hyper-religion nut making things up! 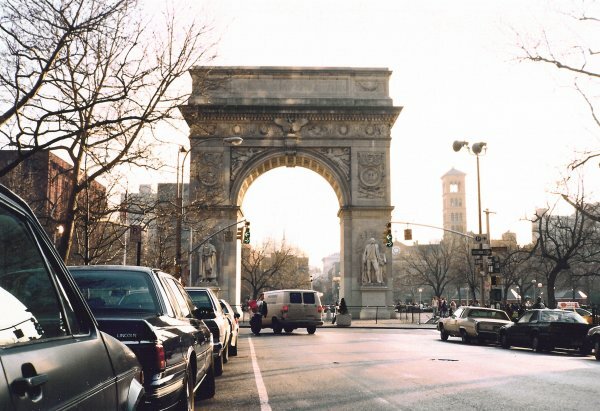 This is a replica of the 50 ft. archway that stood in Palmyra, standing in the most influential city of the United States! What kind of message does this send to our God? We are a Christian nation, founded on the Bible, and standing under the protection of Jehovah Nissi. Have we forgotten those 10 commandments we learned in Sunday School all those years ago? No other gods before me, no graven images, ect? Have we forgotten that we serve a very jealous God, who demonstrated His love and power every time Israel began to stray to the idols of the nations around them? Let us bind together, in one mind, and one accord, and turn to God in repentance for our nation. That is the only way we can make America Great Again!